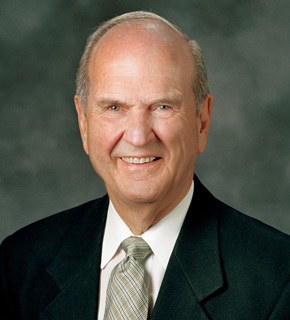 – Salvation and Eternal live is brought by the atonement. – It is by Grace, we are saved after all we can do. – Do all what is in our reach to achieve what is impossible. – Partake Worthily the Sacrament and receive the ordinances of the restored gospel. – Do the best you can in the role as spouses, children, brothers and sisters in our callings in sharing the gospel and rescuing those who has drifted. – Be like the Apostle Paul “I have fought a good fight, I have finished my course, I have kept the faith.” – If we do so, we will be fulling the requirements of our Father in Heaven to bless us in this life and our life in eternity. – Heavenly Father yearns to give us all that we have. 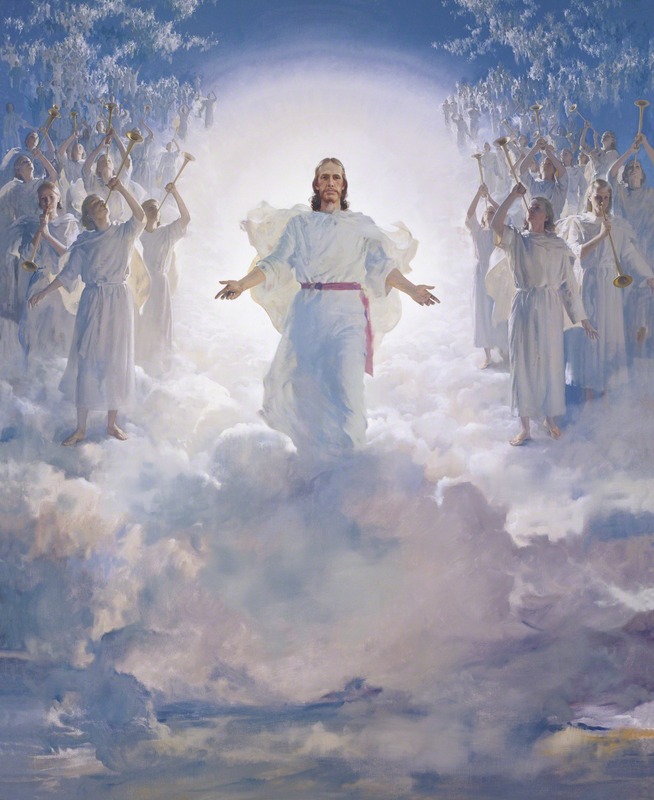 Salvation and Eternal live is brought by the atonement. It is by Grace, we are saved after all we can do. Do all what is in our reach to achieve what is impossible. Partake Worthily the Sacrament and receive the ordinances of the restored gospel. Do the best you can in the role as spouses, children, brothers and sisters in our callings in sharing the gospel and rescuing those who has drifted. Be like the Apostle Paul “I have fought a good fight, I have finished my course, I have kept the faith.” – If we do so, we will be fulling the requirements of our Father in Heaven to bless us in this life and our life in eternity. Heavenly Father yearns to give us all that we have. Salvation is an individual matter. Exaltation is a family matter. Family is the support for Salvation. The home is a laboratory for learning the gospel. Men need women to be exalted and visa versa. We cannot be released in our calling as parents. The Church is to assist, not replace parents in their responsibility to teach children. Parents have a sacred responsibility to teach Children of God. We’re taught to shun filth. We’re taught to honor thy parents. You can teach only by persuasion, long suffering, reproving, and more love. We’re all responsible for our own salvation. These key points from his talk should echo in our minds. In the bigger scheme of things, we are merely stewards of our children on Earth. Our children are children of God entrusted under our car to teach them, to protect them and to love. I also like his point on how Church is to assist and not replace parents. I believe that the Church of Jesus Christ of Latter-day Saints reinforces and strengthens our families. It should reiterate what is learned in the home and not be something new when taught during our Sunday Schools. If you were to erase everything your children learn in Sunday School and Church and strictly rely on what is taught at home, would they still have the same level of knowledge of the Gospel as if they did attend Church and Sunday School? I believe that this book, There Is No Death, brought me closer to understanding the truths that my friend Mike touched upon when he began teaching parts of the Gospel. I believe this book softened my heart and also prepared me for the missionaries that I met three years later. I remember after a few weeks after reading the book we were discussing it during lunch when it hit me; that all the things Mike had been teaching me were in fact true; that there was something more going on than just this life. It is a moment in my life that I will not forget. As I look back now, knowing what I knew, it was the spirit confirming what he was teaching and what was in this book as true. It did not fall on good ground, perhaps stony ground. (Matthew 13:3-8) I did not act on it. I’m thinking it was out of fear for change. Tasting of the truth was exciting and I was eager to learn of all the great and wonderful things of the gospel. I often went way ahead of myself. In a way, I wasn’t ready. I wanted to have my friend personally teach me all he knew, but he insisted that I have the missionaries over. I now realize why missionaries should be involved. They are set apart to spread the gospel. They are more prepared to answer questions that come up. They are divinely inspired and assisted to share their great message. I did not have the fundamentals that the missionaries teach. The important fundamentals like: Who we are, who Heavenly Father is, who the holy spirit is, and who Jesus Christ is – and why what he did was so important, the plan of salvation (the plan of happiness). I see why things are taught in a certain order now and why it is said “concept upon concept, precept upon precept.” That used to annoy me when I didn’t receive all my answers, but now it makes perfect sense. After my friend Mike came back from his mission, we ended up working at the same company and he would share bits and pieces of the LDS Church beliefs with me. I remember sitting in my office over three years ago when my friend Mike started talking about a book that he borrowed and read. Before he even started speaking I began to have what I described at the time as just cold chills, now that I look back it was more like the spirit talking to me. I was extremely excited to hear about the book he had just read and I knew I just HAD to read it. 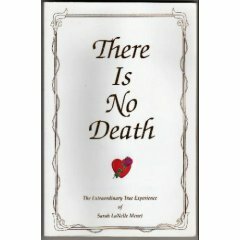 The name of the book is called There Is No Death: The Extraordinary True Experience by Sarah Lanelle Menet. I believe I read all 128 pages TWICE in one weekend, both times in one sitting. I usually don’t do that, but this book has something to it. This is a story about a women that had a sad and abusive childhood. After attempting to commit suicide due, she leaves her body and enters the spirit world learning much about the beauty and peace that follow this life for those that have lived good lives. She then visits ‘hell’ where her abusive father resided. She learns about forgiveness and the importance of it in our lives. She returns to her body and tells her story after keeping it to herself for several years. Why we are here on earth? Where we lived before being born? What happens to us when we die and the degrees of heaven? What is the basis of people claiming reincarnation? The book does a few dark topics such as events that have happened (and haven’t happened) which will lead up to Armageddon and the return of Jesus Christ to Earth. However, the the positives in her book greatly outweigh the negatives. One more note that I’d like to add – At the time of reading the book, I did not know she was a member of the Church of Jesus Christ of Latter-day Saints until the very end. Also, she was not a member when she had her experiences as well. She later found that the teachings of the Church matched what she had saw during her experience. This book definitely had an impact on my life. I recommend this book to everyone, whether you are: an Investigator, a recent convert or a long-time member. 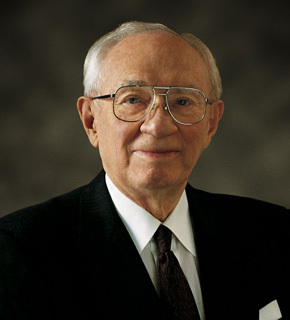 Yesterday in Priesthood, we had our final lesson out of the Spencer W. Kimball book. Chapter 24 was about Sharing the Gospel. It was a very good lesson. I found myself participating more than usual as I am passionate on missionary work. The Lord promises us great blessings as we share the gospel. It is likened unto a spiritual adventure. All work pays off when even one soul expresses repentance and faith and the desire to be baptized. There are many people waiting for us to teach them about the plan of happiness, the plan of salvation. Also in this final lesson we talked about how the Lord has entrusted all members of the Church with a responsibility to serve as His messengers. I think of the feelings I had when I first came to know the truths that I know now. I hope to help someone feel the way that I did.